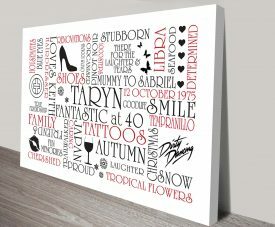 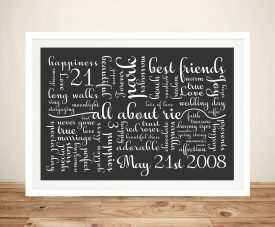 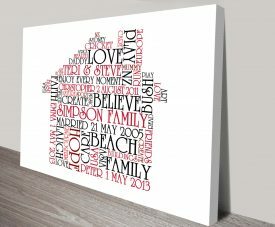 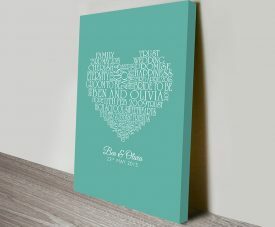 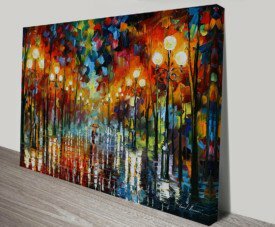 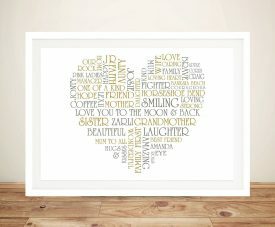 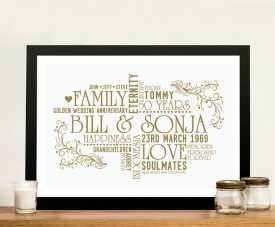 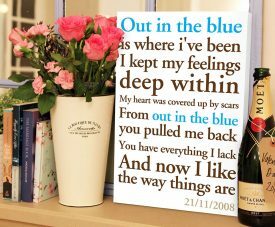 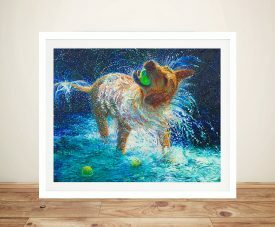 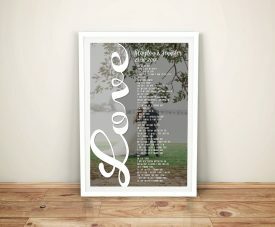 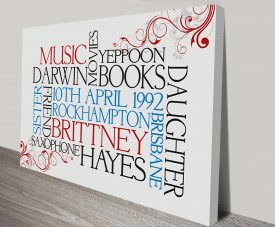 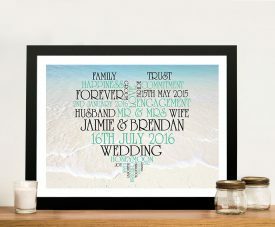 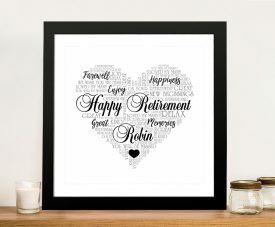 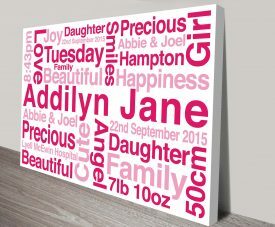 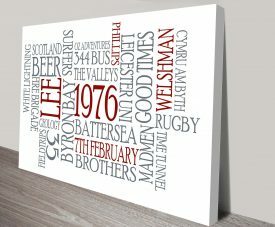 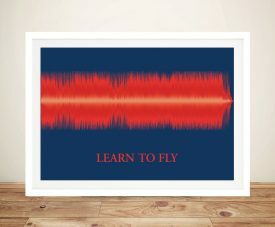 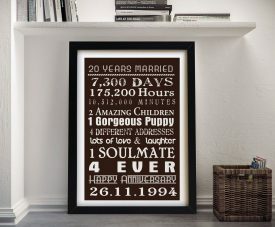 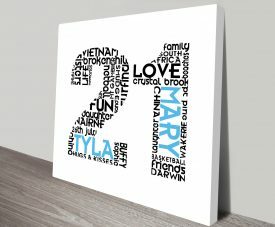 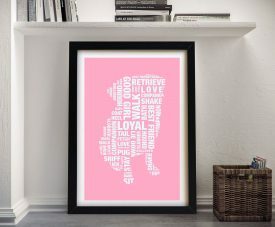 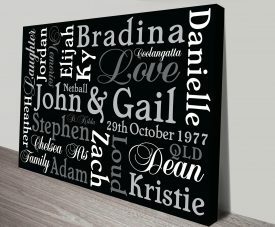 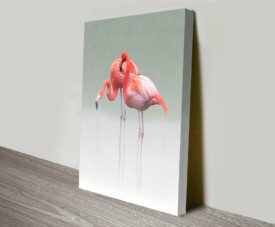 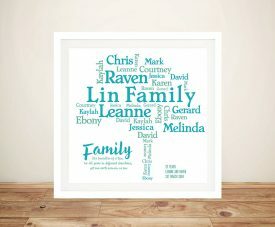 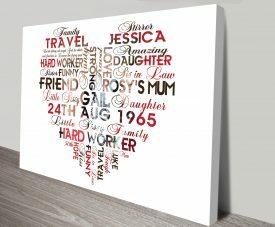 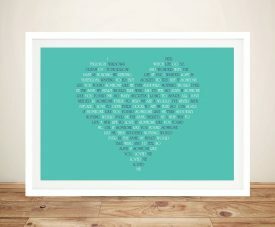 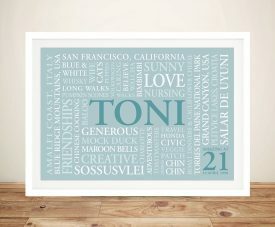 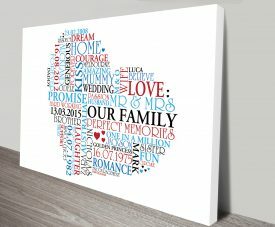 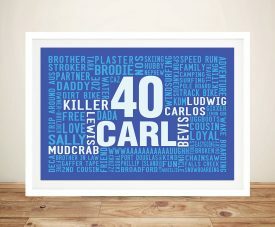 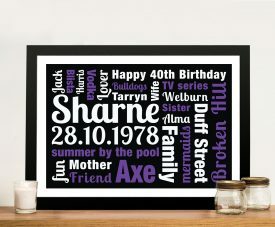 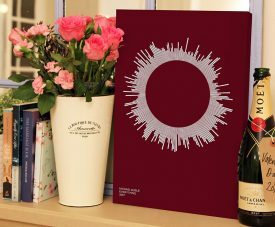 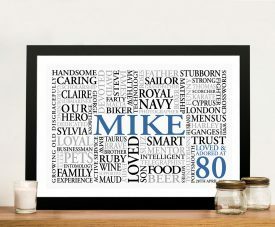 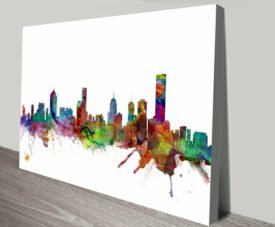 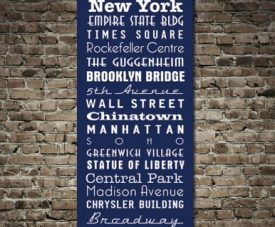 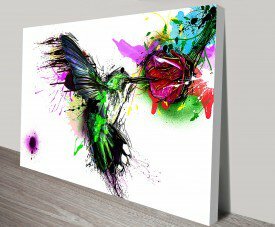 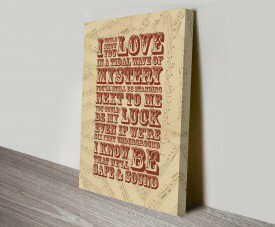 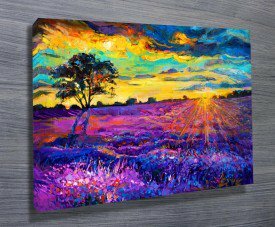 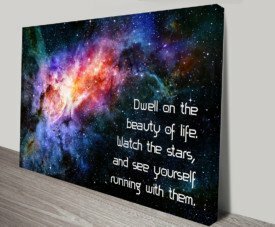 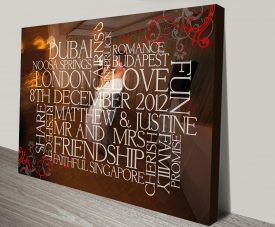 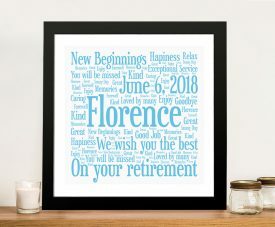 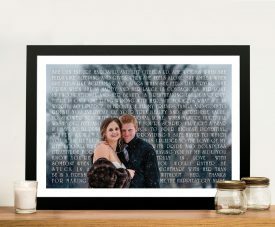 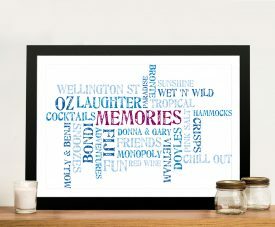 Order stunning Personalised Word Art on Canvas or Framed in a few easy steps. 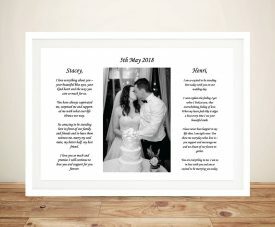 To place an order simply choose the style you’d like, complete the form detailing the words you’d like, choose your background and font colours, choose a font from our list (you can click open the attachment to see all the fonts), add any notes and also feel free to upload an image of a similar one you like, or screenshot of an inspirational quote you’ve seen somewhere or possibly just a nice colour you would like us to use. 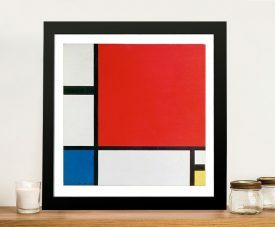 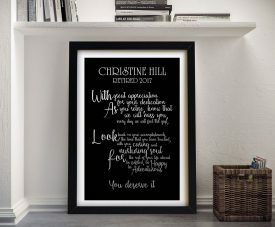 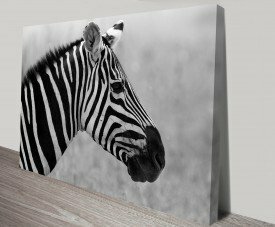 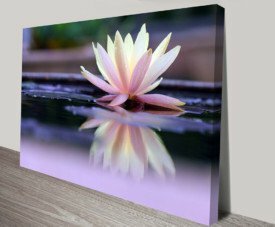 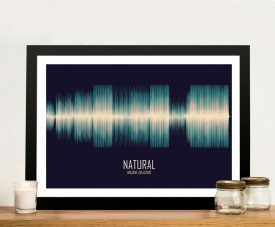 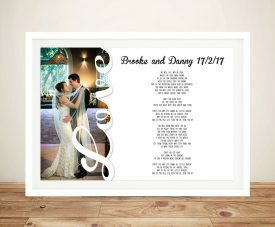 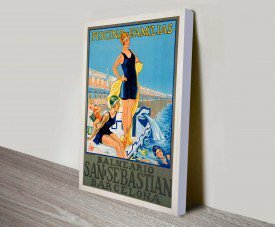 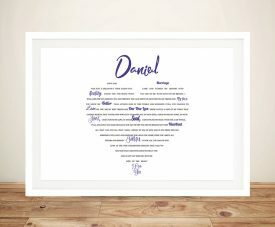 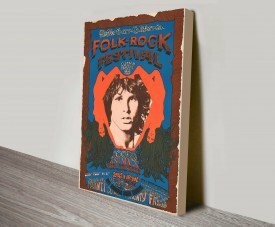 Once you place your order we will email you a proof within 48 hours, usually much less, you are then welcome to request any changes to the design such as adding or removing words, moving words, changing colours or fonts etc. 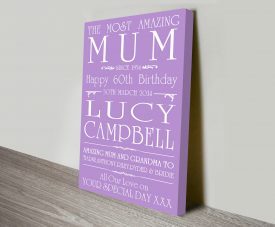 We will happily make any changes to your design (without changing to a new style), until you are 100% happy with it. 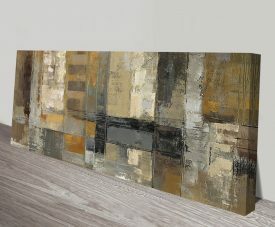 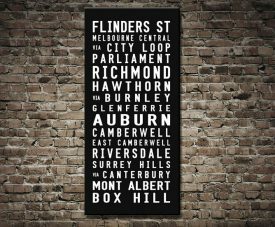 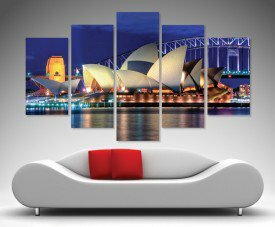 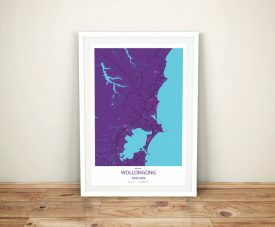 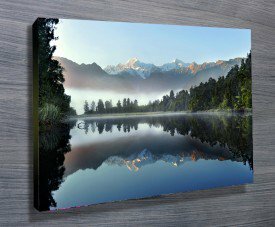 Turnaround time depends on your location, allow about 2 weeks from placing your order to delivery for most cities except very regional areas, WA, TAS and NT, allow 3 weeks for these areas. 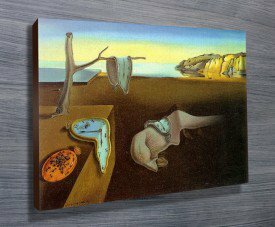 You will however have a proof within 48 hours, each set of proof changes takes about a day. 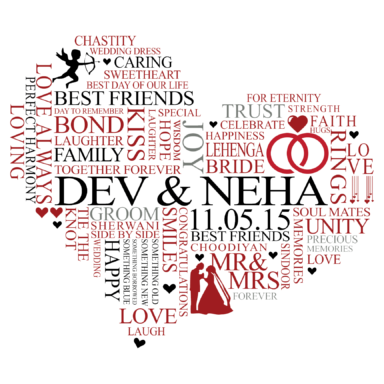 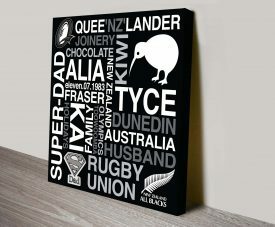 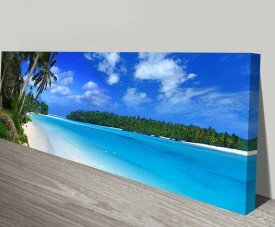 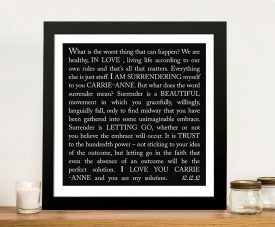 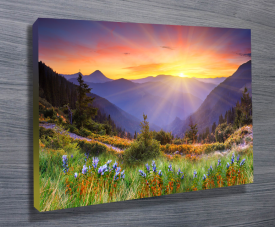 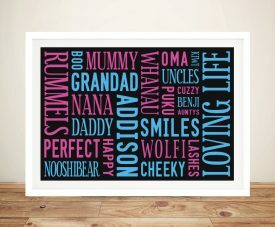 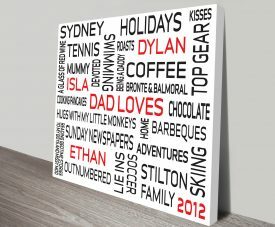 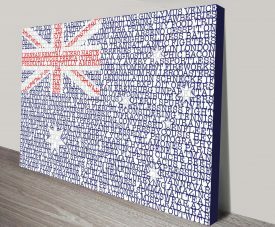 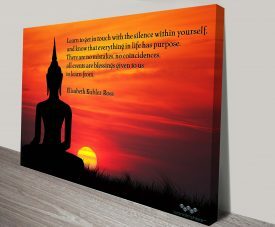 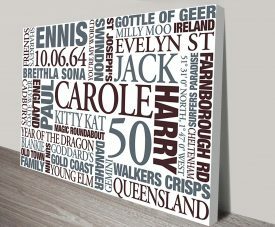 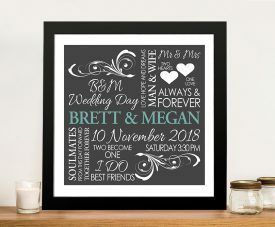 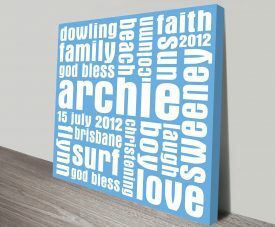 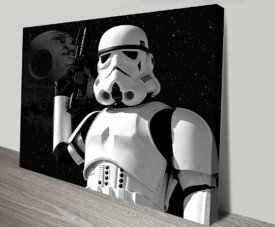 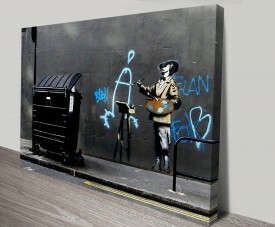 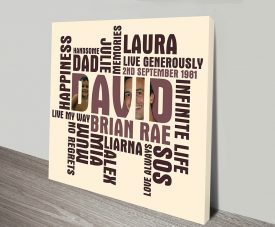 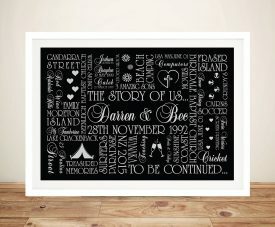 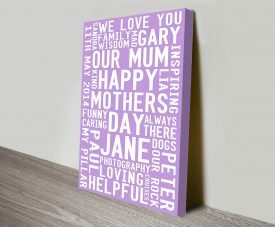 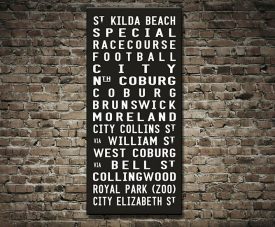 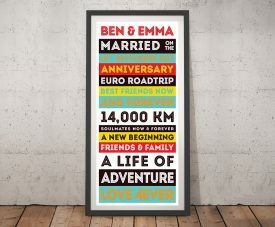 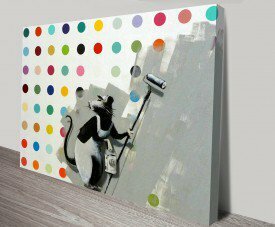 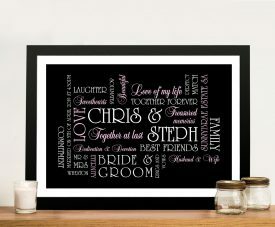 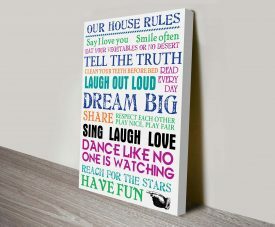 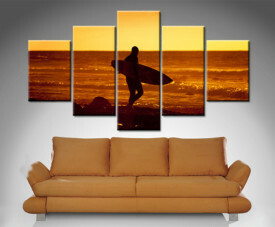 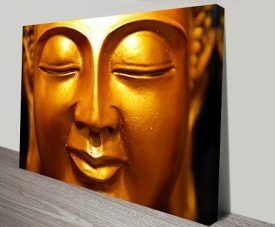 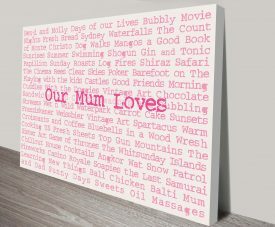 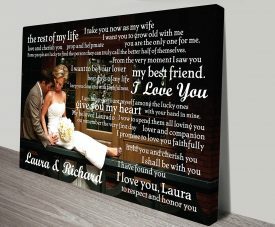 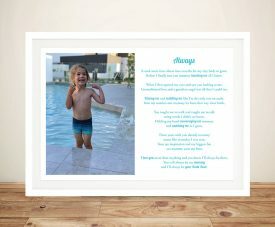 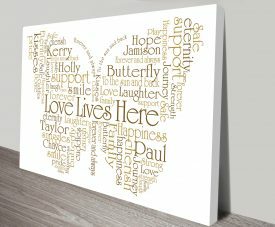 For a larger selection of Personalised canvas Word Art visit our sister site, Beyond a Word.